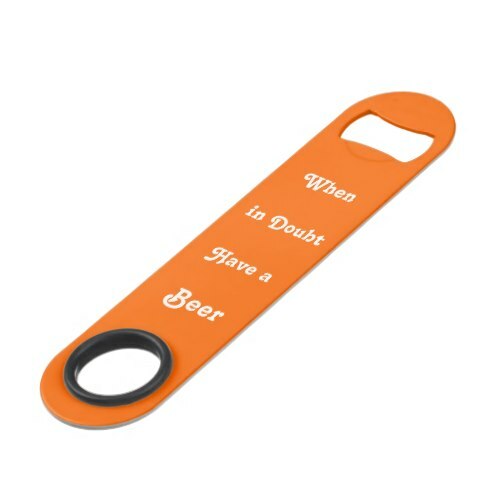 A funny, cool, fun orange color, custom, stainless steel professional speed bartender bottle opener, featuring pearls of wisdom, awesome advice / quote, for when a beer lover is in doubt. A fun bottle opener for lovers of beer - lager, ale, stout, draught, craft, and more. Makes a great fun gift for friends and family, for birthday, christmas, holidays, or any regular day.